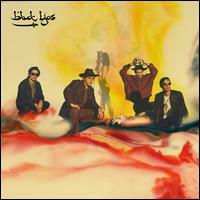 The Black lips have been outta the public eye for awhile now and when they were, it wasn't pretty. From the spat with wavves front man Nathan Williams to whatever that thing was in India, it was lame press. And to top it all off they gave us 200 Million Thousand which was disappointing at best. But we've held out for The Black Lips, we knew they had the chops to pull off another Let it Bloom or Good bad, Not Evil. We were right. Arabia Mountain is an amazing album. Showcasing their established talents of catchy garage rock writing combining with the things they've been picking up through the years. Every song feels sharper and more thought out. The unnecessary production and stagnate writing style that plagued 200 million is done away with and it makes every instrument seem that much more important. That isn't to simply say they've totally disowned that album. Rather they took some of the ideas of 200 Million and made them better. The best example of this their ending track"You Keep On Running". A song that has a drug haze all around it but instead of going over the edge they keep it in check and create a haunting mantra to finish off this truly awesome album. Overall Arabia Mountain is catchy, well written and reaffirms the fact that a bunch a scummy kids can make a great record. I saw you clapping your hands, don't deny.